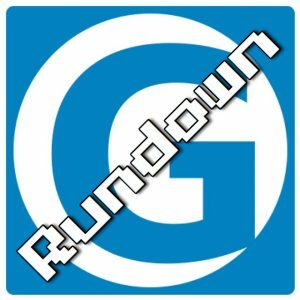 The Gestalt IT Rundown discusses the IT news of the week, each and every Wednesday. This week, Ken Nalbone and Tom Hollingsworth will further discuss the fallout of the IBM – Red Hat acquisition, Microsoft’s GitHub, enterprise drone, Xilinx on Azure, and more! The Gestalt IT Rundown is here to get you up to speed on the latest IT news. This week, Tom Hollingsworth and Ken Nalbone discuss Linus Torvalds returning to Linux, the latest in the Supermicro saga, Intel restructuring their manufacturing division, and why you can’t quit Oracle. Rich Stroffolino runs down one of the major bits of IT news this week, the acquisition of X-IO by Violin Systems, and what bits got spun out into a new exciting company. Plus some of the major announcements from Commvault GO 2018. It’s the Gestalt IT Rundown, breaking down the IT news of the week. This week we’ll be discussing the latest in the Supermicro saga, how Google+’s shutdown will shakeout post GDPR, if continuous OS updates are always good, and Intel playing catch up to AMD. Plus a breakdown of the Ookla acquisition of Ekahau. Stephen Foskett and Rich Stroffolino review the IT news of the week that was in the Gestalt IT Rundown. This week they discuss California’s new IoT security law, security exploits from Apple and Facebook, WiFi 6, and blockchain collaborations. Stephen Foskett, Tom Hollingsworth, and Rich Stroffolino discuss the news out of Microsoft Ignite in this episode of the Gestalt IT Rundown! This week on the Rundown, Rich talks about Intel buying NetSpeed, Quantum Cloud Computing, Jack Ma leaving Alibaba, the Cyber Deterrence and Response Act, and saying goodbye to Plex Cloud. This week on the Rundown, Tom and Rich discuss ransomware insurance, VMworld takeaways, training GPUs, and more. It’s the Gestalt IT Rundown for August 29, 2018. We discuss GlobalFoundries ending advanced fabrication, Windows 95 the app, and all the big announcements from VMworld.